The Texas Rangers acquired minor-league infielder Jason Donald from the Kansas City Royals for cash considerations on Thursday.Donald, 29, has played all of 2014 with Triple-A Omaha, batting . Tristan H. Cockcroft discusses the fantasy implications of Tuesday's Reds-Indians-Diamondbacks trade involving Shin-Soo Choo, Drew Stubbs and Trevor Bauer, among others. 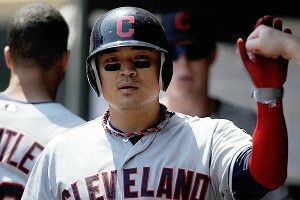 The Cincinnati Reds acquired outfielder Shin-Soo Choo as part of a three-team trade involving the Cleveland Indians and Arizona Diamondbacks.